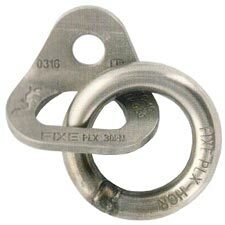 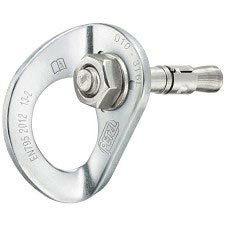 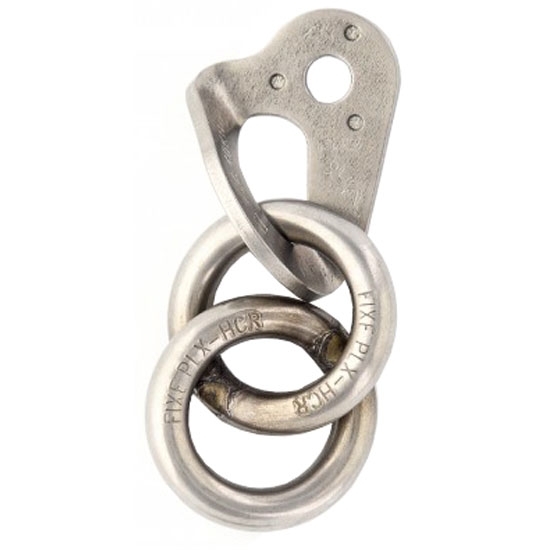 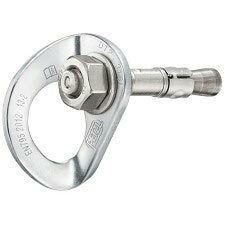 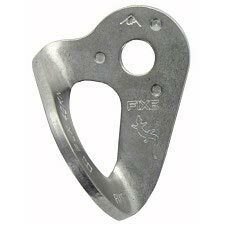 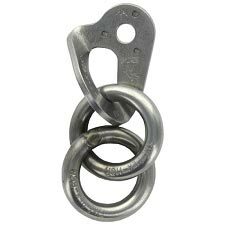 Climbing anchor by Fixe with a hanger and two rings for abseiling and setting up a belay. 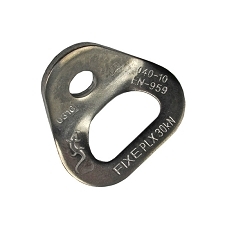 Strong and easy to clip. 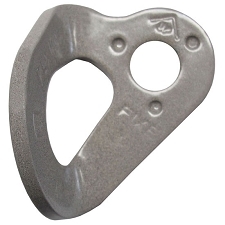 Three small protuberances around the bolt hole keep the hanger from spinning if it receives lateral force. 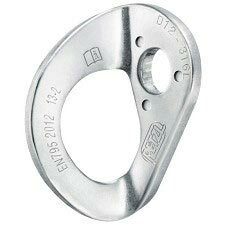 Biner lodgement has blunt edges to avoid damaging. 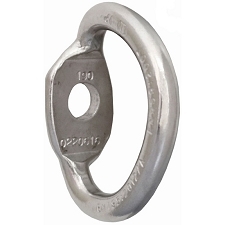 Hanger with ring for rappel. 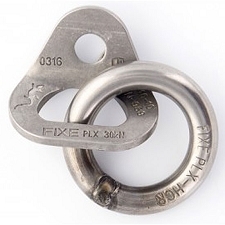 Customer Opinions "Fixe-3 PLX D 12 mm"